Did you take advantage of the Windows 10 free upgrade? However, for whatever reason, you do not like the new interface. You want to go back to Windows 7. How do you downgrade to Windows 7? Or, even a previous version of Windows, like Windows 8? In this article, we discuss all the ways to downgrade back to Windows 7 from Windows 10. Firstly, go to the Settings app. Alternatively, use the shortcut Windows + I. Then, go to Update & Security. 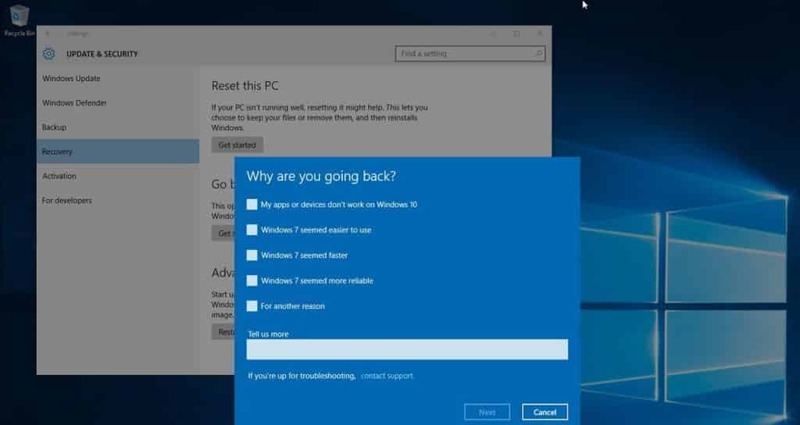 Lastly, if you’re within the (30 Days) from your upgrade to Windows 10, an option to Go back to Windows 7 or Go back to Windows 8.1 should appear. From here, you need to follow a few on-screen prompts to complete the downgrade process. However, if you want to view the picture guide, you may skip to the next section. Once, you complete the above steps, click Get Started. Then, you need to select a reason for downgrading your operating system. A warning appears. It informs you that you will need to reinstall certain apps and programs. Also, it tells you that changes made since you upgraded to Windows 10 will be lost. It may be wise to make a backup before you proceed. Although, this is not entirely necessary. However, if there are important files that you need. Save those. 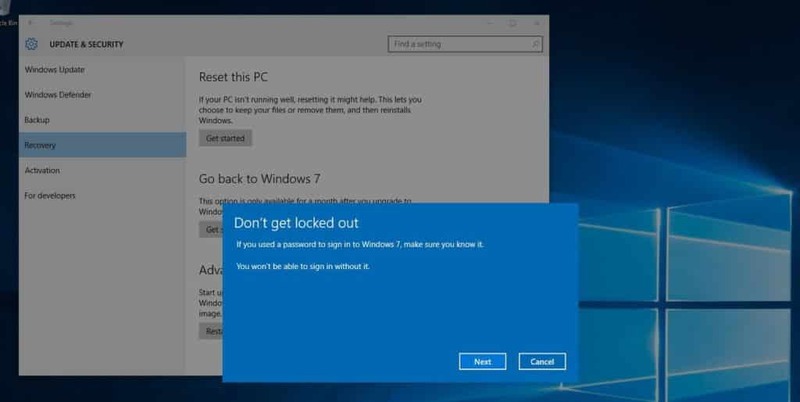 A prompt appears telling you to be sure that you remember your Windows password. Finally, click the Go back to Windows 7 or Go back to Windows 8.1 to begin the downgrade process. Check to verify the rollback option appears. 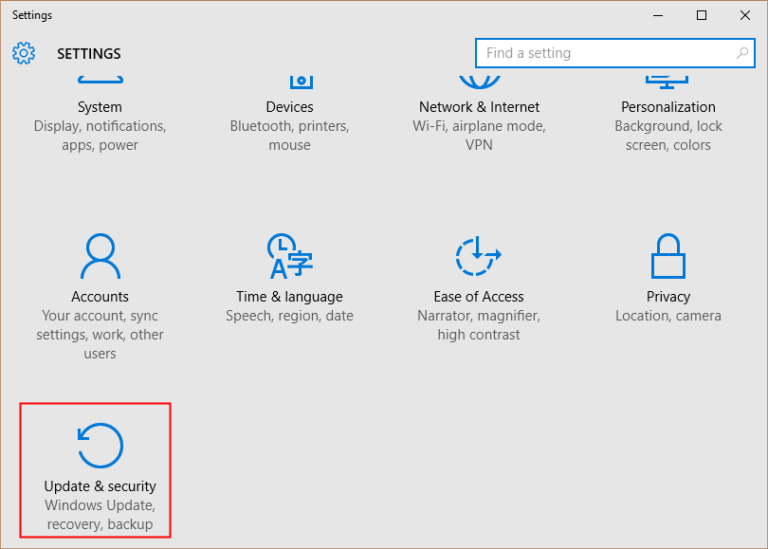 Select a reason for your Windows 10 downgrade. A Prompt that reminds you to remember your password. If the above option is no longer available to you then you can use a factory reset to go back to Windows 7. 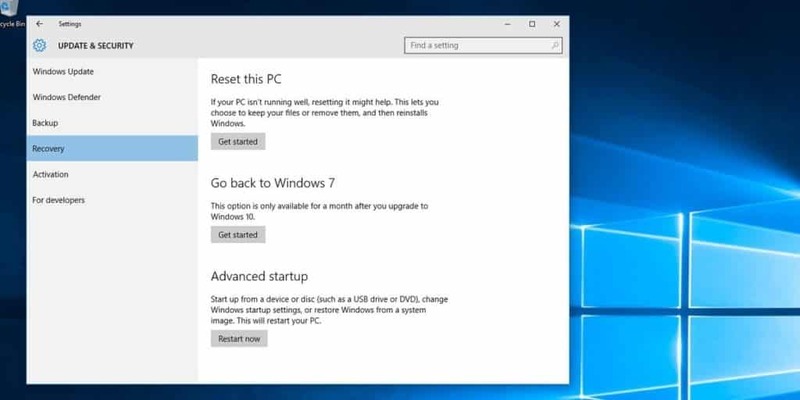 This method reinstalls the version of Windows that shipped with your PC. However, it also removes personal files, apps, and drivers you installed. Furthermore, it reverts any changes you made to settings. To begin, go to Settings. Then, click Reset this PC. Finally, click Get started and find Restore factory settings.